Do you miss La Caravelle? The grande dame of French dining reigned on 55th Street from 1960 to 2004. Today, only the house Champagne remains. Perhaps you've seen it on wine lists around town? 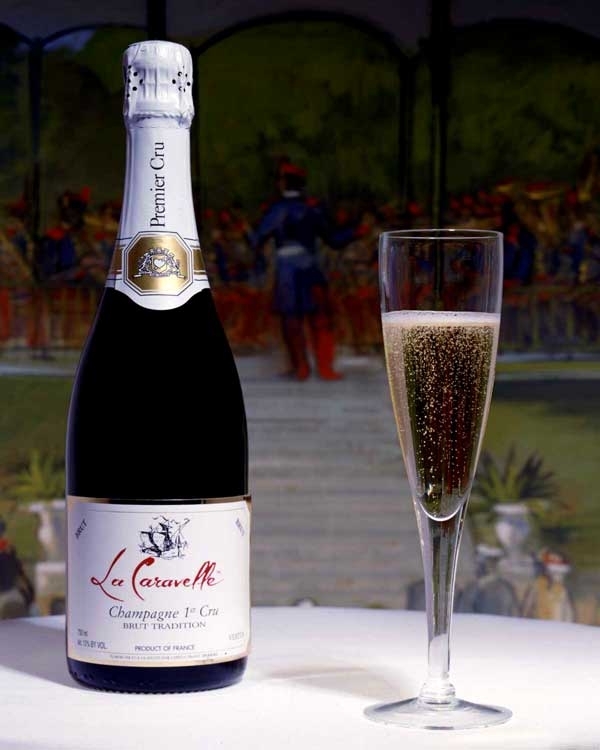 To celebrate the 10th Anniversary of the production of this Premier Cru (which began in 1997), La Carvelle owner Rita Jammet is hosting an informal tasting of the bubbles at Morrell Wine on Friday from 3:30pm to 6:00pm. A good excuse to start the weekend early. I had emails last week from two chefs who have started blogging: pastry chef Michael Laiskonis of Le Bernardin and Brad Nelson the corporate chef of Marriott International. While they both have very different styles and philosophies, they do share the desire to interact with their customers and colleagues, and have a web presence that might lead to bigger things. It is a trend I noticed at the end of last year, which prompted me to redesign my blog-roll (which is on the left column). I replaced the links to restaurant websites with links to chef blogs. In the past chefs would congregate in discussion communities like eGullet. Now they seem to want their own platforms. Jean-Georges blogs about his personal life, like his daughter's birthday party and a vacation at the beach. Johnny Iuzzini covers the progress of his upcoming book and his various events and appearances. Laurent Gras is documenting the opening of his new restaurant. I expect more chefs to start blogging, and eventually I expect the media to start writing about it. 2008 year of the chef blog! Online first, print second, magazines to follow. I had dinner at Schwa once, back in November of 2006. Chef Michael Carlson, along with his two kitchen ninjas and dish washer, put out a meal so good and earnest, it was one of my top five that year. It was also one of the toughest reservations to get. Then amidst the accolades and heights of popularity, he closed the doors abruptly in October the day after the now infamous Ferran Adria dinner. Almost as suddenly, Schwa is reopening in February. The first two weeks will go to folks who had reservations canceled, the hoi polloi can book a table from February 15th onward. I'm hopeful that in 2008 I'll get to have meal number two. Hot off the PR wire is the line up of contestants for Top Chef Chicago. Chitown gossip mongers will be pleased to know chef Stephanie Izard, who abruptly closed her restaurant Scylla last year, is indeed one of the contestants. Season four premiers on Wednesday March 12th. Full press release after the jump or click to the press release at NBC for beaucoup interactive information. hotsnack: 1st annual golden clog awards sold out! 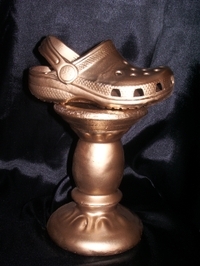 The 1st Annual Golden Clog Awards. It started out as a good excuse to get everyone together for a beach side fiesta at the Raleigh during the downtime between events at the South Beach Wine & Food Festival. Normal logic says 1+1=2, but in the case of Tony Bourdain and Michael Ruhlman things tend to get out of hand snowball quickly. It is now an official event on the Friday Trade Day roster. Note to the publicists who have valiantly submitted their chef-clients for consideration, that despite the event's listing on the official program, there is no entry process, voting or protocol of any kind. There will be a last-minute assembly of nominees and advisory committee members followed by a spontaneous may-lay presentation of the illustriously cheesy statues, all fueled by what I expect to be frenzied audience participation. When it posted on the festival website yesterday, it was already sold out. Bond Street sushi opens westside out post! I mean way west, in Beverly Hills in the new Thompson hotel. I had a seven-cognac dinner. It was reminiscent of my 11-Champagne lunch. 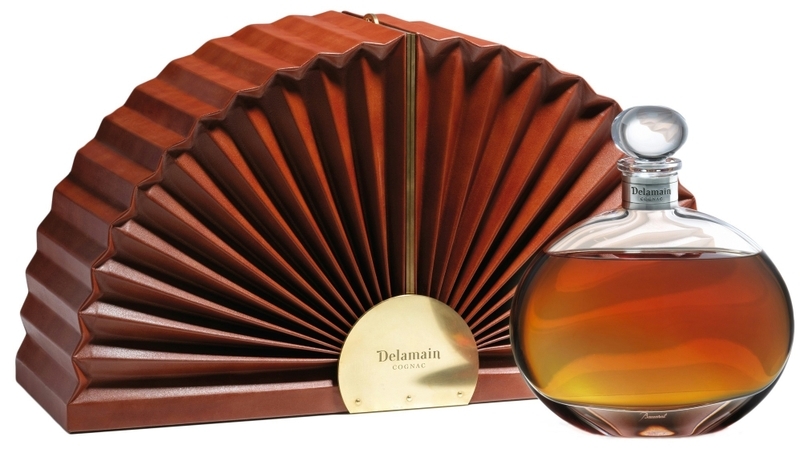 The event was hosted by Delamain, the venerable French cognac house, to promote the arrival of Le Voyage: very old eau-de-vie cognac in a crystal Baccarat decanter, housed in a custom-made leather valise. Only 500 were made and the price tag is $6,500. Every now and again a cognac house will create something rare and expensive to pop the brand into view. It is the spirits equivalent of Louis Vuitton's Murakami handbags. I delayed posting until it became available in the US (seems the import paperwork took a while). It is currently on the shelves at Zachys in NY and SF. All cognac producers buy from the same negociants and growers, meaning everyone is working with the same base ingredients. The differences come in the aging. Unlike wine, you never judge cognac by the color nor do you swirl before drinking. If you see someone doing either with great flourish they are not an expert but a poser. Side-by-side tasting is always revelatory. I do like cognac after all. Monday is January 14th. Just an ordinary day - unless you're expected to deliver a fabulous dinner on Valentine's Day. Most restaurants open the reservation book 30 days in advance, thus Monday will be your first crack at a table on February 14th. Valentine's Day is a bittersweet, love-hate kind of holiday for restaurants. They are almost sure to be sold out (sweet!) And people buy lots of champagne and don't mind paying the special prix fixe d'amour. But it takes some wrangling to convert the entire restaurant into a room full of deuces (industry talk for 'table for two') and keep to the reservations time-table as lovebirds tend to linger. Generally I avoid restaurants altogether on Valentine's Day, plus Mr. Snack is usually working anyway. Actually we avoid restaurants on most holidays, preferring to cook and eat at home. Which might be something to consider if you can't get that resy. Afterall, you have 30 days to plan. 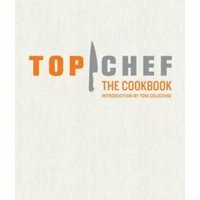 Top Chef: The Cookbook coming in March 2008 from Chronicle Books, along with games, cutlery and more! Full press release after the jump. Part of a publicist's job is to suggest stories to the media. There are obvious stories like openings where the pitch is purely informational. But once the news of an opening has passed - what next? Features and trends. Often a publicist will come up with an idea, put together a list of restaurants that share the trend, add a little research and voila ! An easy round-up story for a busy journalist to cut-and-paste. A recent example from my in-box is this "manscape" guide to what type of men you can meet in New York City bars and restaurants. To date this story has not yet run - but you might see it somewhere come Valentine's Day. Full press release after the jump.